The problem with bull markets is there is nothing much to do for the intelligent investor but there is everyone wanting to do something. Like the other day, even my father and my father-in-law now wants to invest in equity mutual funds. Which is not such a bad thing actually – but the timing suggests that it is time to repeat the same old stuff. So as many times in the past, I went to the ‘Gita’ of value investing “The Intelligent Investor”, and again read some of the underlined writings that need to be repeated at times of such excitement in the markets. No statement is more true and better applicable to Wall Street than the famous warning of Santayana: “Those who do not remember the past are condemned to repeat it”. We have not known a single person who has consistently or lastingly made money by thus “following the market”. We do not hesitate to declare this approach is as fallacious as it is popular. Observation over many years has taught us that the chief losses to investors come from the purchase of low-quality securities at times of good business conditions. The purchasers view the good current earnings as equivalent to “earning power” and assume that prosperity is equivalent to safety. Speculative stock movements are carried too far in both directions, frequently in the general market and at all times in at least some of the individual issues. The beauty of periodic re-balancing is that it forces you to base your investing decisions on a simple, objective standard. The intelligent investor shouldn’t ignore Mr. Market entirely. Instead, you should do business with him- but only to the extent that it serves your interests. The best way to measure your investing success is not by whether you’re beating the market but by whether you’ve put in place a financial plan and a behavioral discipline that are likely to get you where you want to go. Successful investing is about managing risk, not avoiding it. Without a saving faith in the future, no one would ever invest at all. 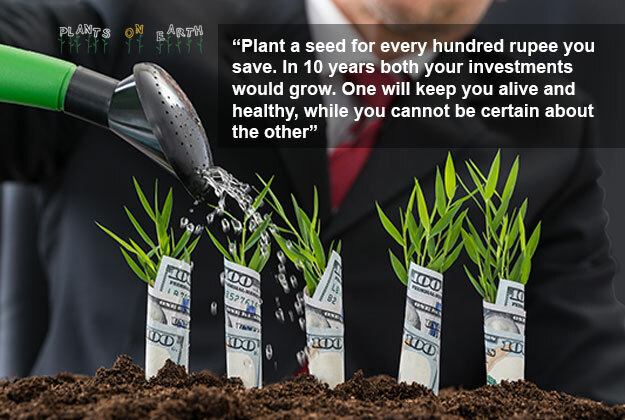 To be an investor, you must be a believer in a better tomorrow. And finally, this one which is right at the beginning of the book in the foreword by Buffett. That’s the title of a memo sent by the famous investor Howard Marks of Oaktree Capital to his clients recently. And it refers to how he is happiest writing when bull markets start going far, risk aversion disappears and there’s money all around inflating potential bubbles. It is quite a long memo listing and describing various indicators that seem to be currently aligning together suggesting the prevalence of such a bubble type situation. For those interested in reading it, you can download it here. But for those who don’t have the inclination or the time to go through the indicators, the what to do section at the end is what is most relevant. And honestly speaking it is nothing new, but it is well worth repeating. There is no one size fits all action for all – so his answers are more like an essay on the one hand, and philosophy on the other. But the message is clear: There is a time to chase returns and there is a time to assess risk. And the time for caution is here, and the time for assessing low risk options is here. So for individual intelligent investors, it is nothing new really. Dhirendra Kumar of Value Research Online in his well meaning article here says that it is well worth repeating the old stuff now. The steps stay the same. They still constitute sticking to your asset allocation, re-balancing your portfolio if it has gone a bit out of whack, continuing to make investments as per your plan, and neglect the markets with a long term orientation. The problem with this is that there is nothing new. But it still needs repetition, because it is tough to follow in practice. In my case, fortunately I don’t have to write so often, there is no editor, and readers shouldn’t mind repetition for their own sake. It will save them from themselves. This is clearly the time to repeat the same old stuff. As Howard Marks said in his memo, this approach of taking low risk options will not necessarily give you the highest returns, but what it will ensure is that you survive. So there they go again. And hence it is indeed time to stick to the old stuff, even more so. Often investors – specially those who call themselves defensive – can’t make up their mind on when to sell, as they have no particular reasons for doing so – except looking at market levels. A good answer to that comes from systematic and regular rebalancing (almost scheduled or using some similar discipline). Came across a good article that explains rebalancing – more important with elevated market levels almost across the board. Should be a good reminder for defensive investors to take stock. On a cold evening in November, the Air India flight from Mumbai started its descent to land at the international airport in San Francisco. In the flight were Mr and Mrs Joshi who were visiting their son and daughter-in-law. A retired government of India employee, the seventy year old Mr Joshi and his sixty-five year old wife had visited their son earlier a few years back when he had just completed his studies. But this was their first visit after their son’s wedding five years back in Mumbai. Meanwhile, their son Ketan and his wife Anusha checked the flight status online. “Looks like it is on time. Should we start?” Ketan asked his wife. “Give me 10 minutes. Just replying to this email” Anusha replied. As they left their home, Ketan realised that perhaps they were already a bit late. It was a cold November evening, and he did not expect the traffic to be heavy. So he thought if he took the highway, they would make it on time. Anusha had already told her friends as well as colleagues in office about the impending visit of her in-laws, and how it was going to invade her space and add to all the overhead activities in her life. As she picked up some items from the grocery store, Ketan asked her to hurry up. “It’s for your parents. Otherwise I will have to answer why there’s nothing in the fridge” she smirked back at Ketan. She was horror-struck at the prospect of facing such potential situations. “By the way, do we have extra blankets? It is quite cold” asked Ketan. “There are some in the storeroom” Anusha responded nonchalantly. “But are they usable?” Ketan inquired, not quite sure whether they had been used in a while. “They should be ok for your parents” Anusha told Ketan. “And your father can also use some of your old jackets lying in your wardrobe” she grinned back at her husband. “Ok cool” Ketan stopped the conversation. “Hey by the way, we don’t have extra mattresses” he remembered after a while. “Yes – you will have to rent them out. In any case, they will need those harder ones” Anusha warned almost with a tone of admonition, thinking about all the adjustments she was going to face in the next couple of months. “Of course. Guess we need that too. Let’s take it from the Indian store. May be we can pick up some Indian food too” Ketan told his wife. “But I am not going to cook” Anusha scowled back. “No they are coming to see you” Anusha reprimanded him. Meanwhile Mr and Mrs Joshi’s flight had landed and they had finished their immigration formalities. Luckily their baggage also arrived in quick time. Mr Joshi put it on the trolley and started walking to the exit. At the exit, their eyes searched for their son and daughter-in-law but they were nowhere to be seen. Most of the passengers left within about half an hour after that. “I think we are late” Ketan said, as he pushed the mattresses into his car’s boot. Most of the car was already full with all the things they had bought on the way. As they reached the airport, they parked their car and walked to the exit. Ketan saw his parents standing alone with their luggage trolley. He realised that they are going to need a cab for it. “Hope we are not too late” he said to his father. “No, not at all. We just landed” Mr Joshi replied, happy to see his son, though that was more than an hour back. “No problem” Mr Joshi reassured his son. Either I am a completely outdated, antique piece who doesn’t get it, or I may be a very calm composed person. I tend to give myself a positive spin with a benefit of doubt thinking it is the latter, but I suspect the former is perhaps closer to the truth. The last week has seen me pose a dumb look on two seemingly obvious phenomena that I supposedly should have been lapping up and going crazy about. Both of them made me feel like that guy in the ‘Yeh PSPO nahi jaanta’ advertisement with the sheepish smile. The first happened earlier this week when everyone was talking about a new game called Pokémon GO and I made the mistake of asking a colleague ‘is that a new cartoon series?’ And the second one, perhaps an even bigger faux pas yesterday, specially in Bangalore, was to ask a friend ‘What is this Kabali?’ I probably might have narrowly escaped a thrashing from the onlooking crowd. I find myself in numerous such situations of late. Perhaps such situations are happening more often in this new age of social and mobile and trending or whatever – again my own benefit of doubt to myself. Mark Twain said that a ‘Classic′ is a book which people praise and don’t read. In that era, it probably took a long time after a book is released for it to achieve this kind of status. A few of Twain’s own books achieved that kind of status. It seems that this period has been drastically cut of late. And it applies to not just books, but probably to movies, new products, games, apps, mobile phones, electronic devices, and what have you. And it looks like most of them become classics before they are released. Things people praise, talk about but haven’t yet read or seen – because they are not yet released. And I am left wondering what to do every time such a phenomenon turns up with the ‘Yeh PSPO nahin jaanta’ sheepish look. This phenomenon was probably started by the iPhone mania in the US. For apps, maybe Angry Birds started it. Harry Potter movies used to see these delusions before release. And lately every new mobile phone release is ‘highly awaited’. So the stampede surrounding Kabali is hardly a surprise. It does look like these delusions are more frequent of late – perhaps because there are so many objects attracting the attention of these minds (and their pockets) with easy channels of communication. Many of these delusions are fleeting of course, and in all honesty, quite entertaining. All of them have the common result of getting some money out of your pocket. Some high, some low. A movie ticket here, or a book there, or some paid app, or at best a higher sum for a new electronic device maybe. So the harm is limited somewhat – for all the mania, it won’t leave a big hole in your pocket before, or even if it turns bad, a lasting one on your mind after. But in the financial markets, these delusions are dime-a-dozen, and can be quite harmful. In fact, much of the day-to-day markets run on some delusion or the other – big or small. Many of them can also last quite long pulling even the most patient and experienced hands in. And with Love in the air (as in my last post), there are lots of new money-dwindling devices (like IPOs, new fund offers, expensive stocks, research reports, technical tips, stories of riches, business news, what have you!) waiting for your mind to get fixated on them. That’s where the madness of crowds can be not just entertaining, but positively harmful as well. In such delusions, a dissenter from the crowd can look foolish, and despite all the patience, can eventually end up joining in for the fear of missing out. It is only later that one can learn whether one was sane or stupid. It is better to miss out on such madness of crowds – due to being outdated, lazy or composed, or some other reason. It is worthwhile to remember what Charles Mackay rightly wrote in 1841. Now let me go get my ticket for Kabali.